ITIL offers a framework of structured, scalable, best practices and processes that organizations can adopt and adapt to fit their own operations. Although ITIL Version 1 (v1) provided many benefits to early adopters, there was no rigor around individual best practices. In the late 1990s, ITIL architects realized that an integrated service management framework was needed that organized and coordinated the work of the previously identified best practices; a flexible framework fitting the needs of any size organization. With those goals in mind, the architects set to work and in the year 2000, ITIL Version 2 was released. 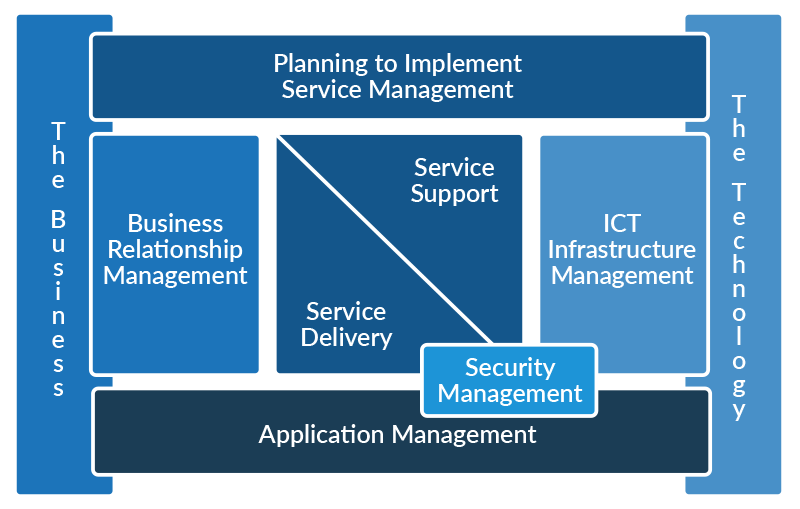 ITIL Version 2 (v2) breaks down IT Services into 7 components or disciplines. The components interlock like pieces in a jigsaw puzzle, each with its own set of touch points or process hand-offs. ITIL processes aid in aligning IT components into discrete services, as well as delivering and supporting those services. ITIL offers disciplines to ensure services, roles, and responsibilities are well-documented and understood by both IT and the business units. When done correctly, services can be provisioned internally or externally without any perceivable difference by the business. See how the different components of ITIL Version 2 work together in the diagram below. Learn what you need to get started with a capacity management practice and how to choose tools to support this aspect of ITIL.